Paracosm has the feel of a world-weary adult peeking in on the dreamworld he concocted as a youth and subsequently grew to abandon so long ago. 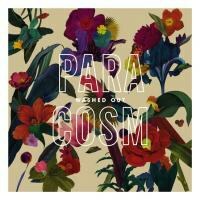 As the namesake for Washed Out’s latest LP, Paracosm is at once perfectly appropriate and bafflingly unbefitting. In the former sense, the album adheres to the word’s dictionary definition, being an audible depiction of a childlike fantasy world, rich with carefree sentiments, chirping birds and cooing woodland creatures and the resulting feeling of lying in a sun-soaked valley. Yet lacing that perception is the idea that the world stretched across the record’s nine tracks is not tethered to a child’s imagination. Instead, it has the feel of a world-weary adult peeking in on the dreamworld he concocted as a youth and subsequently grew to abandon so long ago. There is both a joyful sense of returning to a comforting locale, one special to you in a way like none other, and a melancholy on finding that it no longer holds that same soothing effect. Crafting this world are the multitude of instruments and layered production flourishes. Though firmly in the dream pop niche, the record is not limited to electronic soundscapes or synthesizer-based melodies, striking a balancing act between those standbys and more organic components including myriad antique keyboards and strings. On the one hand, there is the fleeting, effervescent aura, while on the other is a creaky, lived-in quality. It’s a contrast in contemporary tones and decidedly anachronistic ones. After the portal-opening tease of instrumental lead-in “Entrance”, Paracosm unfurls in “It All Feels Right”, harp strumming and a light drum machine beat carrying it before it branches out into a reggae rhythm and a melody that slides back and forth. Washed Out’s man behind the curtain, Ernest Greene, sings in a murmured fashion as the music cascades around his vocals, his encouragement for listeners to round up their friends and gather in a summer retreat being every bit a tantalizing invitation. “Close my eyes / Think about the old times / What’s it all about? / The feeling when it all works out," Greene asks and answers, the refrain amounting to the credo of his fictitious land. From there, the music segues into the R&B groove of “Don’t Give Up”, the background chatter of revelers and the vinyl crackle and pop reminiscent of Marvin Gaye’s “What’s Goin On” to a degree. Phased synth lines and a tribal drum beat support the tune as Greene in the chorus echoes a variation on the previous song’s title by repeating “Even though that we’re far apart / We’ve come so close / And it feels so right” until it seduces the listener into a hypnotized trance. The aptly-named centerpiece “Weightless” slows things down while slowly building cinematically to a levitating quality. Come the two-minute mark, it hits a level of transcendence, Greene’s vocals soaring into a refrain of “Forget about the pain / Leave it all / And start again." The tune would fit well in a film’s soundtrack, particularly in a scene where a tortured protagonist has that moment of clarity and moves beyond his self-imposed limitations. After that exorcism, “All I Know” comes in with some shimmering chimes and key notes before delving into a relatively up tempo shuffle, though there is some hazy fuzz and the romanticism in the lyrics border on cloying. It’s about here, the album’s midpoint, that some monotony seeps in. Despite the impressive array of instrumentation, the tunes can blur into one another rather than individualizing themselves. A monochrome palate asserts itself in these middle cuts, the songs coming across almost as movements or breaks in the same extended piece of work. Unfortunately, this doesn’t allow the record’s title track — a kaleidoscope swirl of backtracked harp strings and sultry beats — to stand apart from the pack. On the plus side though, the momentum is regained by the evocative closer, “All Over Now”, which encapsulates that hard-to-define sense of finality, of stepping out and moving on. Whereas “Entrance” was the gateway opening, “All Over Now” is the sound of that same portal closing behind you of your own accord as you recognize you no longer require the solace your mythical realm previously afforded you. Paracosm stands as a travelogue of an album. The songs are landmarks on a journey through the past until the final stop is the here and now, where the parting resolution is that previous coping has evolved into acceptance.